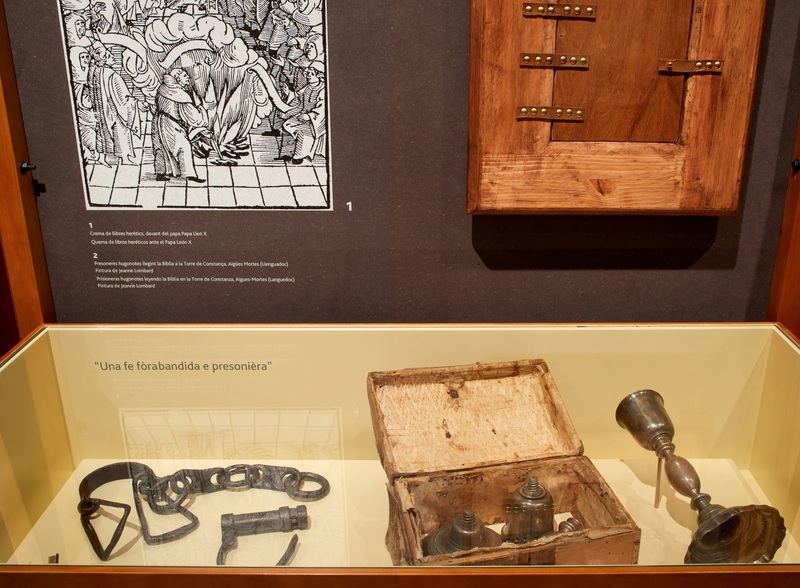 This exhibition details birth and legacy of Martin Luther’s Protestant Reformation, with special emphasis on its influence in the Catalan countries through the printing press and local religious communities. The aim of this exhibition was to make the most of the possibilities available, trying to offer a museographic project that would be simple, yet rigorous, comprehensive and formal. 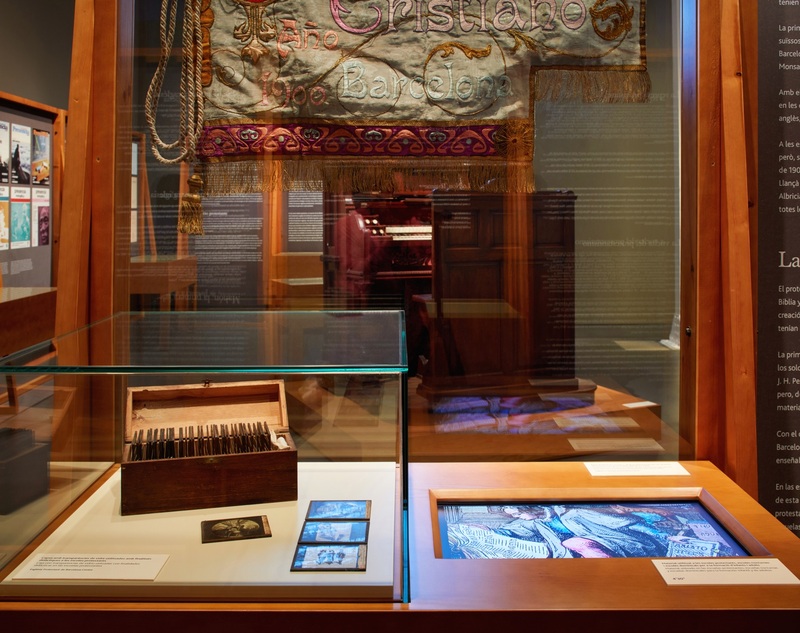 The theme of the exhibition helped us achieve this goal, since the Protestant character aims to dignify austerity as an expression of the spirit, in contrast to the lavish decorations and ceremonies of the Catholic Church. 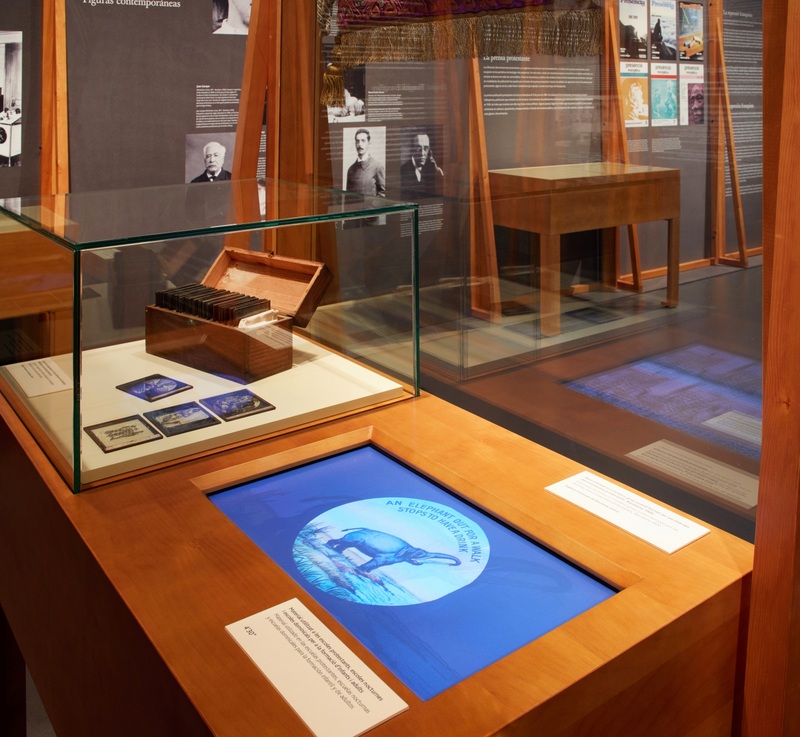 This led to an ergonomic design, consisting of pine wood easels and black backgrounds, with lighting that highlighted the pieces exhibited in serene surroundings. In the first area, we find a focal point that explains who Luther was and what he proposed. We designed a pedestal to hold a portrait of the father of Protestantism over a back-lit printed tulle. Some of his most relevant theses were exhibited and a special area was dedicated to the printing press, fundamental in the spread of the Protestant message. 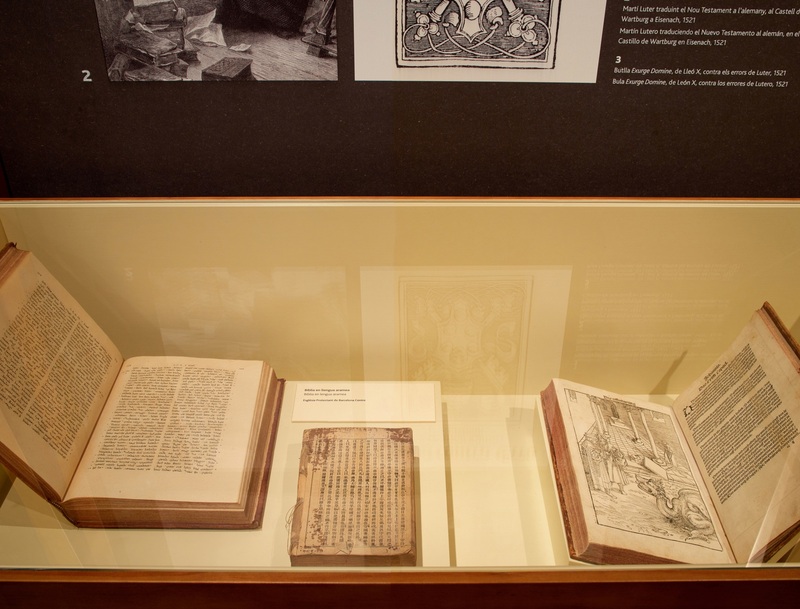 For this reason, one of the first translated bibles to be published is also on display, together with a recent contemporary edition. 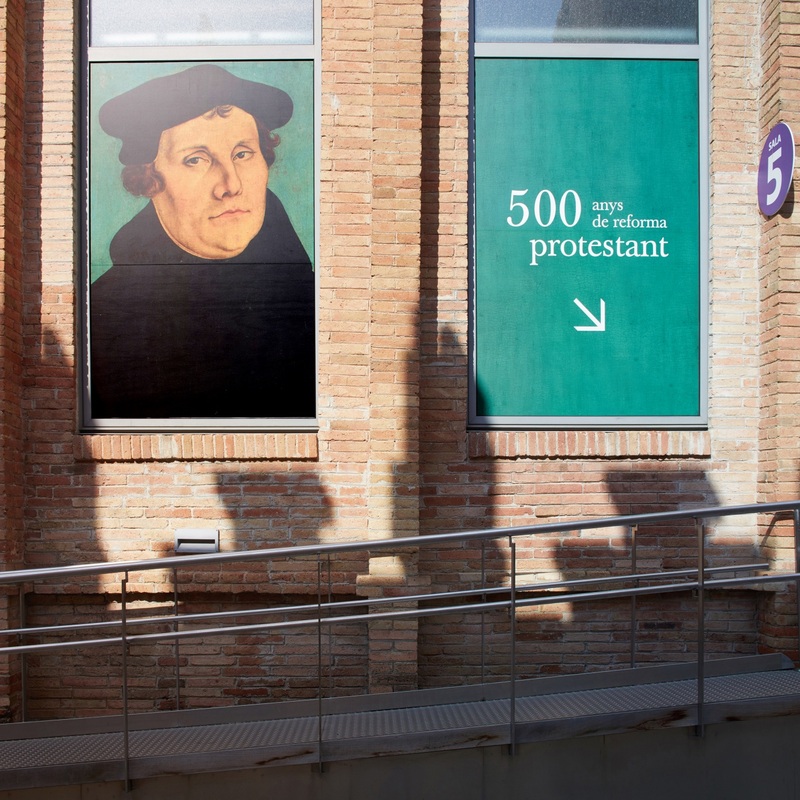 Then there is a chronological, historical discourse which reviews the seven central figures of Protestantism, its genesis and expansion, and its influence on the Catalan countries. What this order aims to represent is a movement of fluctuation, where each period of expansion is followed by a period of persecution and repression, whether by the Inquisition or by Franco’s regime. 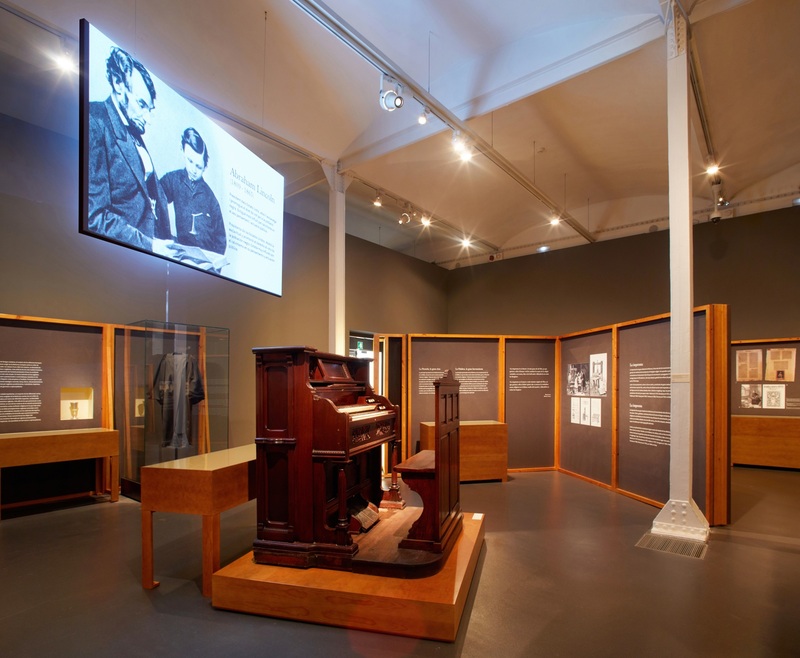 Finally a space is dedicated to explaining Protestant worship, highlighting especially the role of music in the rites and Protestant offices, through important figures such as Johan Sebastian Bach. 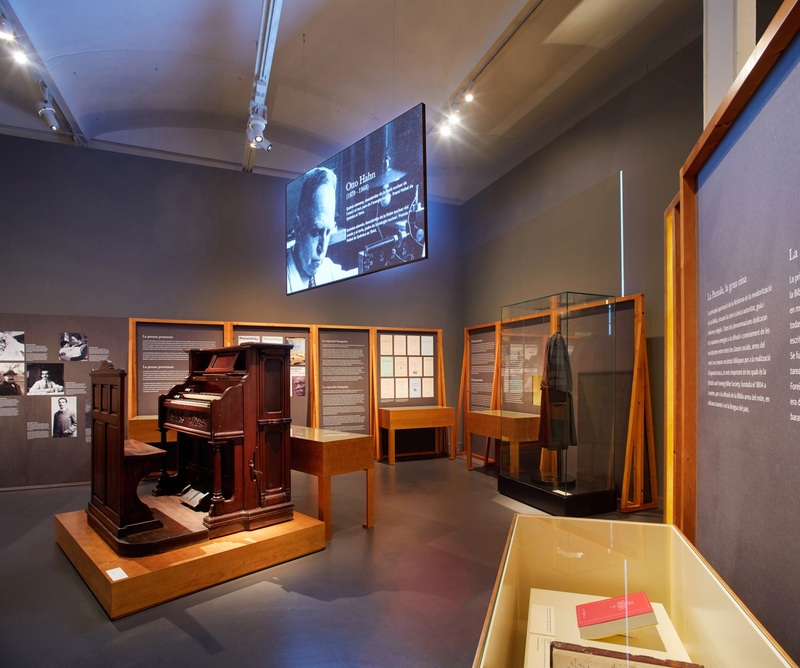 The exhibition closes with an audio-visual display that depicts illustrious figures of Protestantism many of whom are not widely recognized as belonging to this religious confession.